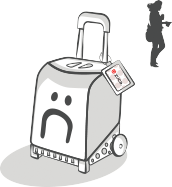 Millions of travelers lose their bags every year. 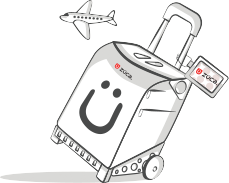 That is why we created the ZÜCA Smart Tag which helps travelers reunite with their lost and/or stolen luggage using a unique tracking code. 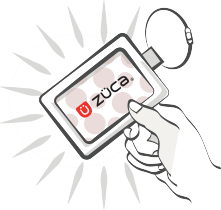 Register a ZÜCA Smart Tag by scanning a QR code with your phone, or by manually entering the unique tracking code provided. Already have an account? Sign in and you'll be on your way. 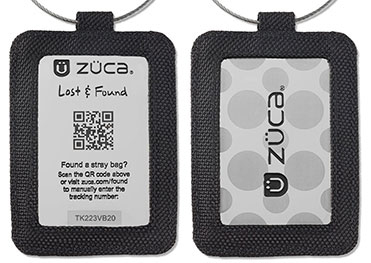 A handsome tag is encrypted with your personal contact info and your preferred method of contact—phone or email. 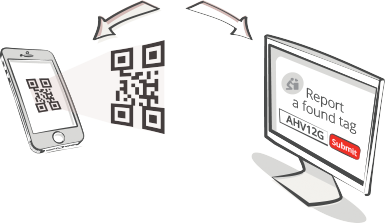 Once you've activated your tag online, the QR code will lead straight back to you via your preferred form of contact. Privacy plus: the data's in code, so only a computer can read it.